and I vectoriced the background of "Las noches" from a screncap. I make 3 or 4 textures for this wallpaper. I hope you like it. Orihime is so beautiful, even with such a sad look like that. The vector is pretty good, nice job on that. You did great with the background but I feel that it doesn't suit with Orihime there. I'm really happy that someone made good use of that spectacular image of Inoue. This size and the positioning is fair, I like that she occupies just the right amount of space and I like the way she's presented. You've made the image your own by using a refreshing vector style (love the vibrancy in her hair). Background is perfect, texture makes a nice finish! Thanks for making and sharing this wallpaper. Thats really cute! thank you for the wallpaper! KAWAII~! 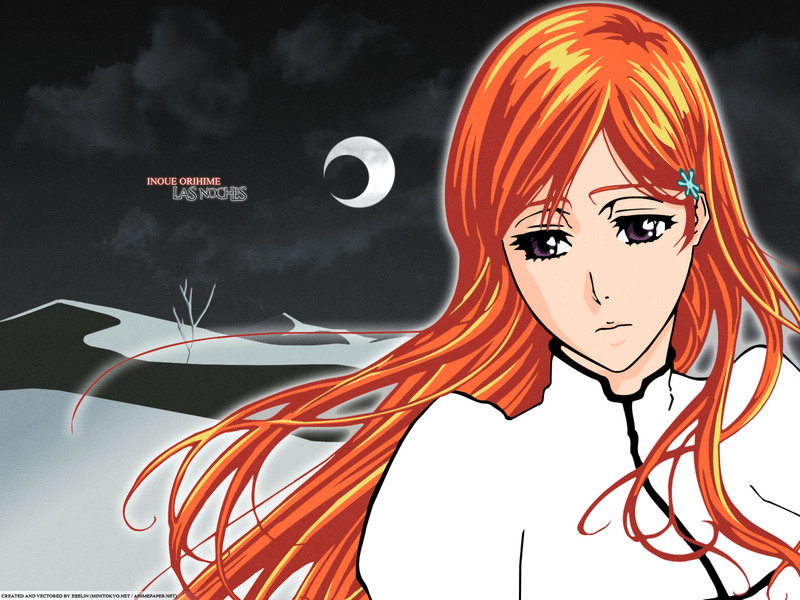 Orihime is so cute..i really love her..